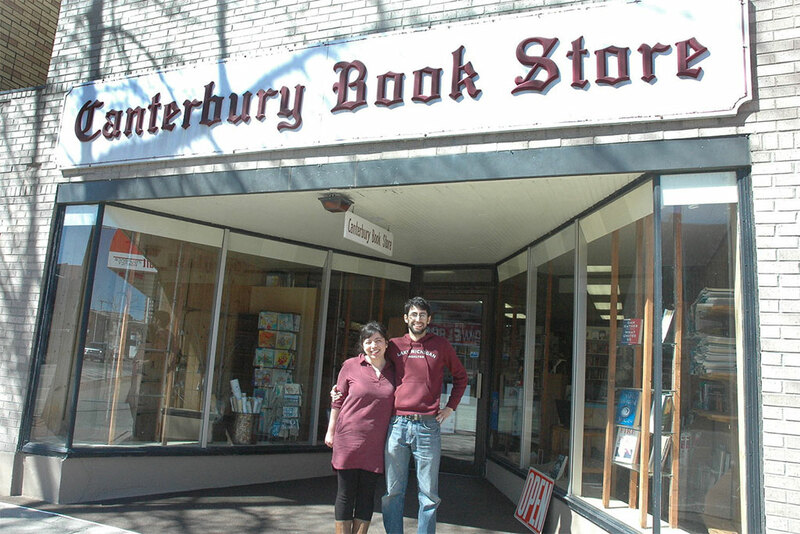 ESCANABA — When Shirley Hivela announced last fall that she was closing the Canterbury Book Store, Jesse Taub and Becky Bender joked that they should buy and run the Escanaba downtown store. The joke soon turned into an offer and it was no longer a laughing matter. “Shirley put up her retirement sign and we said someone should buy that,” Becky said. “We joked about buying it ourselves. Ha ha, wouldn’t it be great to own a bookstore,” Jesse continued. At one point, it no longer was a joke for this young married couple. “When we gave them the offer letter I said, ‘we’d better mean this,'” Becky said with a laugh. They soon found themseleves business owners. Then reality of owning a bookstore sunk in. “I think the first walk through was kind of terrifying,”recalled Becky as Jesse laughed. She went on to say they never bought property before. “Or run a business,” offered Jesse. “Or run a business for that matter,” Becky added. Jesse says there is still a role for books in our lives. He says reading books is very important. The two have been going through the books and are now working with an independent booksellers association. Becky says they have other plans as well. “I think the world of the Internet has actually created a lot more room for board game designers, comic book artists and things like that. Things we are also interested including in the store,” she said. Jesse and Becky hope to have a grand opening in June but for now their customers are finding them through social media or from those who poke their heads in to see if Shirley is still there. Share the post "Young Escanaba couple take a chance on community bookstore"